Family Communication carefully examines state-of-the-art research and theories of family communication and family relationships. In addition to presenting cutting-edge research, it focuses on classic theories and research findings that have influenced and revolutionized the way scholars conceptualize family interaction. 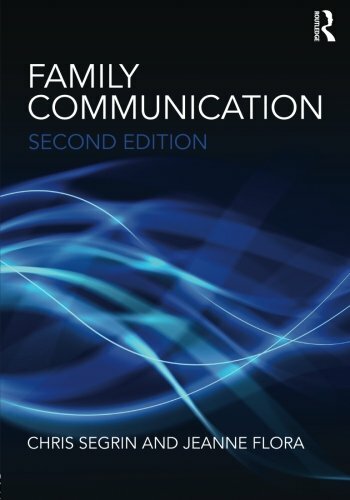 This text offers a thorough and up-to-date presentation of scientific research in family communication for both teachers and students of family communication as well as professionals who work with families. Chapters updated with the latest research, including over 2000 references. Recent research on understudied topics in family communication, including the influence of technology on mate selection, negotiating work and family stress, single parenting, cohabitation, elder abuse, forgiveness in marriage, and the links among communication, culture, and mental health. A revised chapter on parent-child communication, taking a lifespan perspective that helps organize the large body of research in this area. A new chapter devoted to extended family relationships, with special focus on grandparent-grandchild relationships, in-law relationships, and adult children and their parents. An expanded review of family conflict processes, especially in relation to decision making and power. A companion website provides chapter outlines, exam questions, and PowerPoint slides for students and instructors. Undergraduate readers should find the information easy to understand, while advanced readers, such as graduate students and professionals, will find it a useful reference to classic and contemporary research on family communication and relationships.